Did you know Damascus is the oldest continuously inhabited city in the world? For at least 5,000 years, someone has called Damascus home, and some historians believe the city dates back as far as the seventh millennium BC. Yet, despite its long history, the Bible says Damascus will come to a sudden end. It won't slowly fade away, but will disappear in an instant. 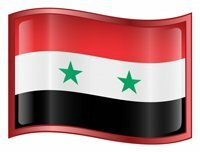 Damascus will be utterly destroyed - never to be inhabited again. Don't believe me? Then open your Bible. The prophet Isaiah says Damascus will disappear, become a heap of ruins, and see its power and influence end forever (Isaiah 17:1-3). Now, some scholars claim the Assyrian king, Tiglath-pileser, fulfilled this prophecy in 732 B.C. when he conquered Damascus and killed its king (2 Kings 16:9). However, Tiglath-pileser did not make the city "a ruinous heap," and he certainly didn't erase it from history. He simply attacked the city and enslaved its people. Furthermore, nearly two million people currently live in Damascus. That alone testifies to a future fulfillment of this prophecy. After all, if the city of Damascus has already "disappeared," how come so many people still live there? Obviously, the city hasn't disappeared. And that means the destruction of Damascus is still a future event. If you're still not convinced, read Isaiah 17. It paints a bleak picture. Damascus will be a heap of ruins. Few, if any, buildings will remain. The once great city will be devoid of all human life and will become home to all manner of wildlife in the absence of humans to chase them away. Worst of all, Isaiah describes a greater regional conflict and a coalition of nations aligned against Israel. Isaiah 17 describes more than the destruction of Damascus. It also says the cities of Aroer (located on the northern bank of the Arnon River just east of the Dead Sea) will be deserted (Isaiah 17:2). It doesn't say they'll be totally destroyed like Damascus. Instead, it says they'll be deserted. Perhaps these cities will be destroyed, but maybe they're deserted because the people flee out of fear. In addition, many of the fortified cities in northern Israel will be destroyed (Isaiah 17:3). Aram, a region of Syria just southeast of Damascus, will share the same fate of these northern Israeli cities - total destruction (Isaiah 17:3). Words can't describe the horror of such events. They trigger mental images of nuclear war. According to Isaiah, the northern kingdom of Israel will be hit especially hard. The devastation will be so great only a scattered few will remain (Isaiah 17:6). We can only speculate as to where these people have gone. Did they choose to stay in the land following an epic disaster? Or are they the lone survivors of a massive holocaust? We can't be certain. Whatever the reason, we can be sure it's sudden and massive. It will be a time of great "grief and incurable pain" (Isaiah 17:11). And to make matters worse, the nation of Israel will face an imminent invasion. Because at this moment, Israel's enemies will see an opportunity to invade (Isaiah 17:12-14). Their goal? The same goal they've preached for years now - the annihilation of Israel. Isaiah says Israel will live in terror as enemy invaders approach. But by morning, all the invaders are dead (Isaiah 17:14). These invaders join forces to destroy the very memory of Israel's existence. So it shouldn't come as a surprise to learn that both Isaiah 17 and Psalm 83 describe invaders who seek to "plunder and destroy" Israel (Isaiah 17 and Psalm 83:3-5, 12). Nevertheless, you can be sure the enemies of Israel will fail miserably. The psalmist says, "O my God, blow them away like whirling dust, like chaff before the wind!" Psalm 83:13 (NLT). This is the same way God repels the invaders in Isaiah 17, where it says, "They will flee like chaff scattered by the wind or like dust whirling before a storm." Isaiah 17:13 (NLT). Israel wins. By dawn, its enemies are dead (Isaiah 17:14). God once again delivers Israel from certain destruction, eliminating many of the immediate security threats Israel faces today. Could this lead to the "peace" described in Ezekiel 38:11? Only time will tell. But I don't think we'll have to wait long to find out. Today, it's not difficult to envision the scenarios outlined in Isaiah 17 and Psalm 83. Syria is known to house chemical weapons, including the highly lethal VX and Sarin gases. What if military victories result in ISIS gaining control of those weapons? And what if they use them against Israel? Or what if the Assad regime feels its only option for survival is to draw Israel into a holy war? With all the factions involved in Syria's civil war, it's not difficult to imagine a scenario where war crosses the border into Israel. But make no mistake, if Israel is attacked with weapons of mass destruction, its response will be swift and devastating. Israel is armed with nuclear weapons, and if its survival is put in question, it will not hesitate to use them. Could this be what eventually destroys Damascus? Today, the most virulent enemies of Israel reside in the very places named in Psalm 83 - Gaza (Hamas), the West Bank and Jordan (Palestinians), Lebanon (Hezbollah), and Syria and Damascus (the Assad regime and ISIS). Conditions are ripe for the fulfillment of Isaiah 17 and Psalm 83. This would set the table for the rapture of the church and the tribulation. In such times, we should keep our eyes on Jesus and preach the Gospel of Christ to all who will listen. Because the hour is late, and He's coming soon.